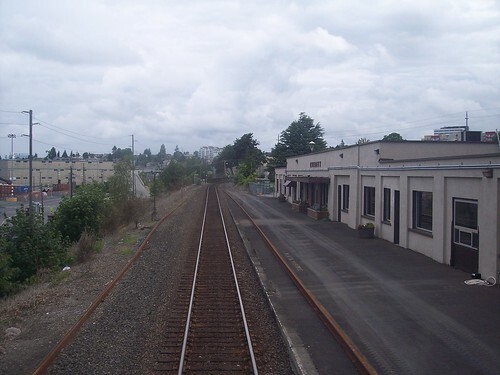 The former Everett station still stands on the west side of town. 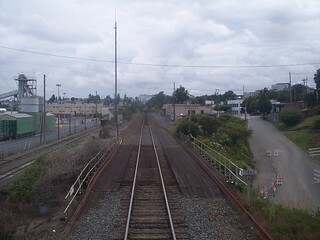 The current station is on the east side of town. 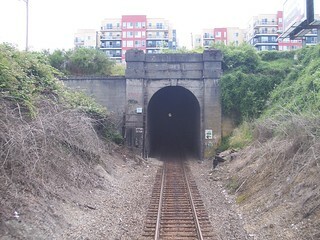 A look at the former platform and station, and the tunnel we travel through to access the current station. 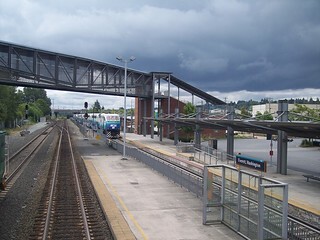 The current station platform at Everett, serving both the Sounder and Amtrak. 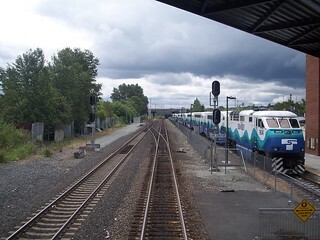 This is a terminal station for the Sounder, so a trainset awaits its next journey to Seattle. 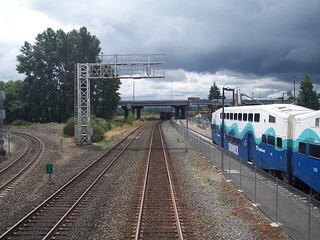 Our Empire Builder train continues straight ahead, while a Cascades train would follow the track to the left to Canada.